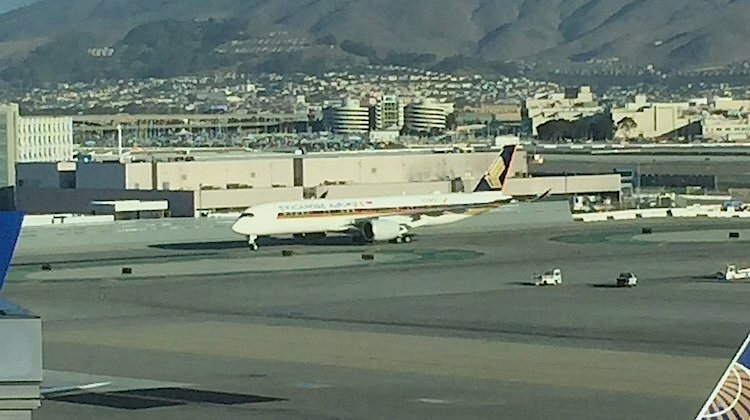 Singapore Airlines (SIA) has commenced nonstop services on the world’s fourth longest passenger route after its inaugural flight to San Francisco touched down in the Bay Area over the weekend. 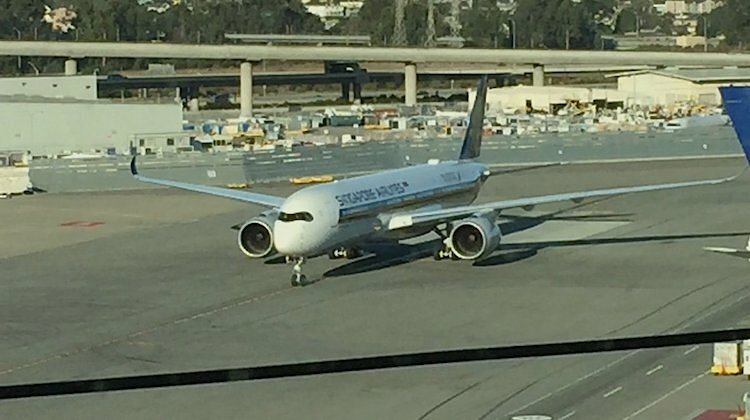 The SQ32 flight, operated by Airbus A350-900 9V-SMF featuring a special logo signifying it was the 10,000th aircraft delivered by the European airframer, landed at San Francisco Airport a little after 0830 local time on Sunday, October 23, after a trip time of almost 14 hours. The A350-900 operating the route is in SIA’s standard configuration for the aircraft type with 253 seats comprising 42 in business, 24 in premium economy and 187 in economy. SIA, a Virgin Australia shareholder and alliance partner, has also ordered seven A350-900ULR (ultra long-range) variants that will be used to resume nonstop services from Singapore to Los Angeles, New York and potentially a third US destination. San Francisco-Singapore is a rarity among ultra long-haul routes as it features two carriers – United started its own nonstop service on the city pair in June with Boeing 787-9s. The world’s longest passenger route is between Delhi and San Francisco. But only when flying eastwards from Delhi. Air India took the record on October 16, when AI 173 took off from Indira Ghandi International Airport at a few minutes before 0430 local time and landed at San Francisco International Airport some 14 and a half hours later, covering 8,285nm, according to flight tracking website FlightAware. The return flight is shorter as it heads eastwards from San Francisco and over the Atlantic Ocean back to Delhi, taking advantage of the prevailing tailwinds when flying east. Subsequent flights have exceeded the 8,285nm covered on that inaugural service that operated with an eastwards routing. 2. Doha-Auckland (7,848nm) – to be operated by Qatar Airways with Boeing 777-200LR. From February 1 2017. 4. Dubai-Panama City (7,463nm) – to be operated by Emirates with Boeing 777-200LR. Start date not confirmed. It would seem that a lot of QF ability to wrest control of Australian traffic from international carriers lies with the manufacturers capacity to deliver ultra long-range aircraft. Carriers like Singapore and Emirates that currently have a geographic advantage of inhabiting the middle ground. / one-stop locations will be hoping at least on the Kangaroo route that the ultra long-range aircraft are some way away yet. I’m confused. Do you mean “Pacific Ocean routing eastwards from Delhi only”? @random, whilst that may be true for a couple of routes, realistically speaking there is no way QF is going to serve the top 20 destinations in both Europe and North America, unless there are even longer range B787s in order simply due to the lack of consumer demand and extra capacity from competition. The tie-up with Emirates and American ensures that QF gets access to a wide network but apart from the most popular cities it can never compete with the likes of Emirates and American on smaller trunk routes. From an economic point of view QF’s interests are best served in investing in Asia and North America. Instability from terrorism, Brexit and extreme over capacity makes it difficult for QF to invest in Europe, apart from London. San Francisco to Singapore? I’ll be taking the A350 thanks!